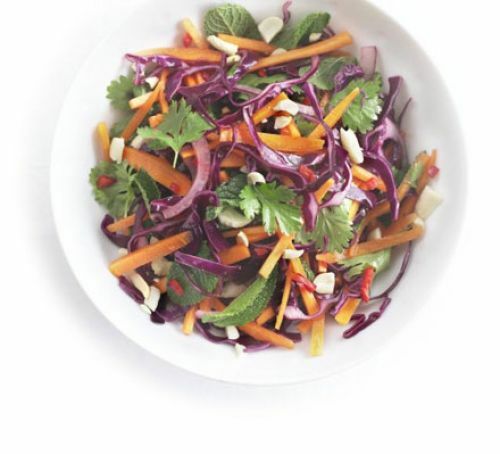 This spicy raw slaw with a tangy lime dressing creates a rich and flavorsome dressing base. You might want to add a half of a small chili in for an extra hot taste. This recipe takes 10 minutes or less to prepare. Take all of these ingredients and combine them in a big bowl, tossing well to mix thoroughly.